In 1999 I got knocked off my rocker by a horrible, recurring 18 month long sinus infection that would not go away. On a scale of one to ten, it was a decimating eleven. I was wiped out and sick all the time. It took all the energy I could muster for the day just to empty the dishwasher or throw a load of laundry in. If I started my blog that year it would have been named “Swimming Through Mud”. I was not having any “Just Pinch Me!” moments. I bounced around doctors trying to get relief . Each one ramped it up and wrote me a prescription for an even stronger course of antibiotics. I’d feel better for a couple of days, but as soon as I stopped taking the antibiotic everything came slamming back. And then I was pointed in the the direction of an incredible Ear, Nose and Throat specialist Dr. Joseph Donzelli. I wasn’t very hopeful as I told Dr. Joe my tale of woe, expecting him to write out a script for yet another stronger antibiotic and send me on my way. It appears the bad bacteria really thrive on ice cream and bread and pasta and potatoes. 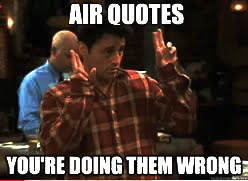 Drats. So I did it. I ate only lean protein and green vegetables for three months. Not one cookie or nibble of cheese or sip of wine or string of spaghetti passed my lips. It was REALLY hard at first and then not so bad. And wouldn’t you know pretty soon the birds started singing, I felt healthy and happy and energized. Thank you thank you Dr. Joe! These days whenever I feel a bit draggy or sluggish I go back to eating only meats and vegetables for a couple weeks. Eating that way always re-engergizes me. 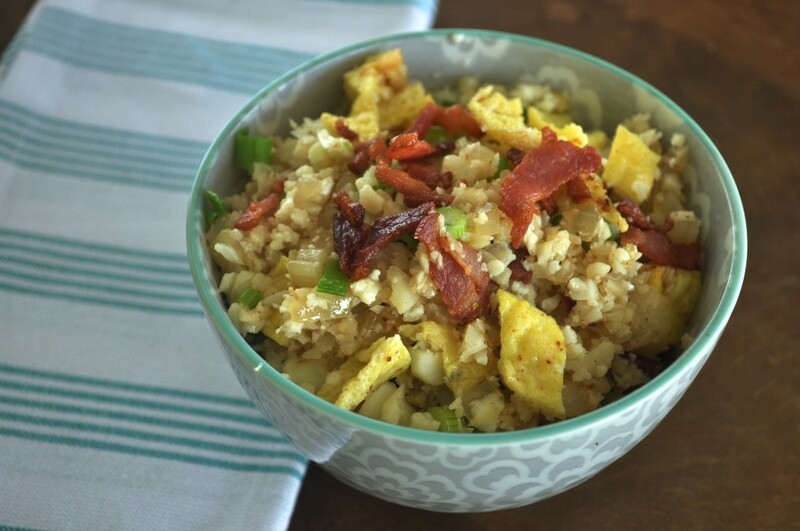 So my post today is about fried “rice”….uh huh. Because there is actually no rice in this dish and the “rice” is made from cauliflower – crazy!! Alrighty then. 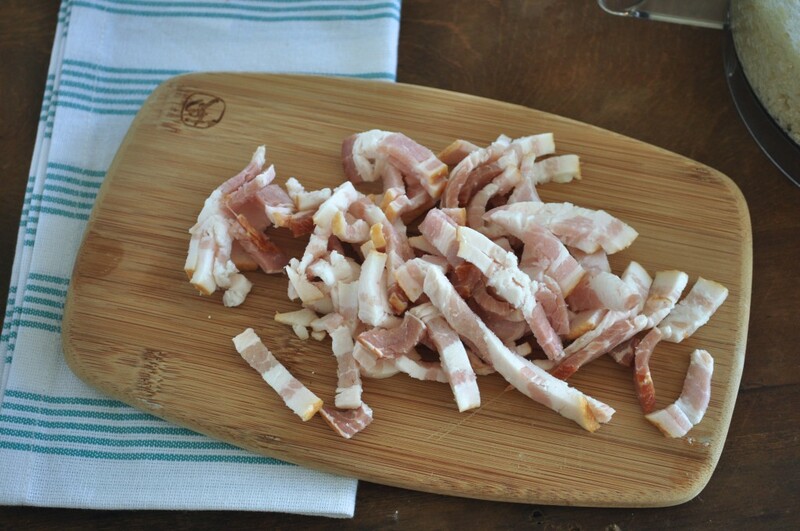 Many, many thanks to Micelle Tam over at Nom Nom Paleo for the inspiration on this recipe. 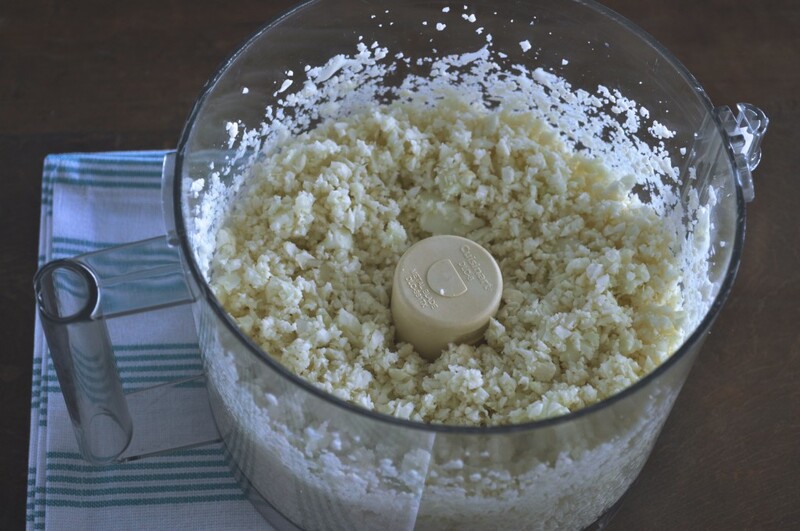 Put the cauliflower florets in the bowl of a food processor. Pulse 8-10 times until the pieces are the size of rice pellets. 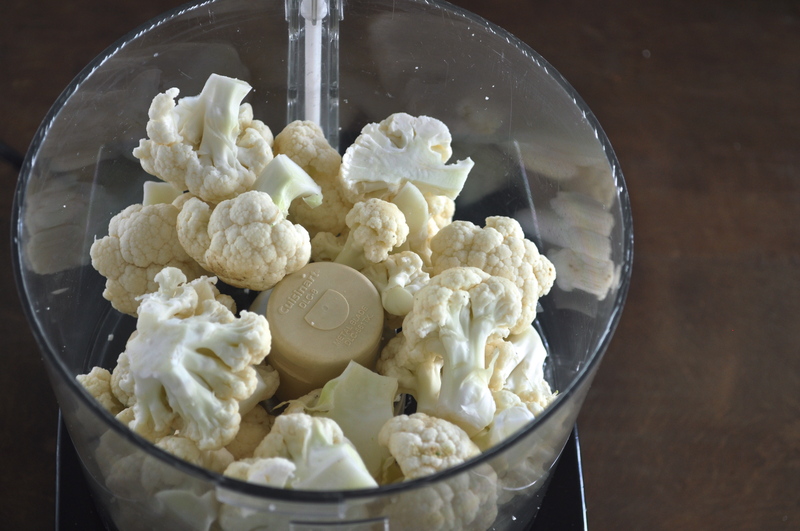 Don't over process or you will have mushy cauliflower baby food! 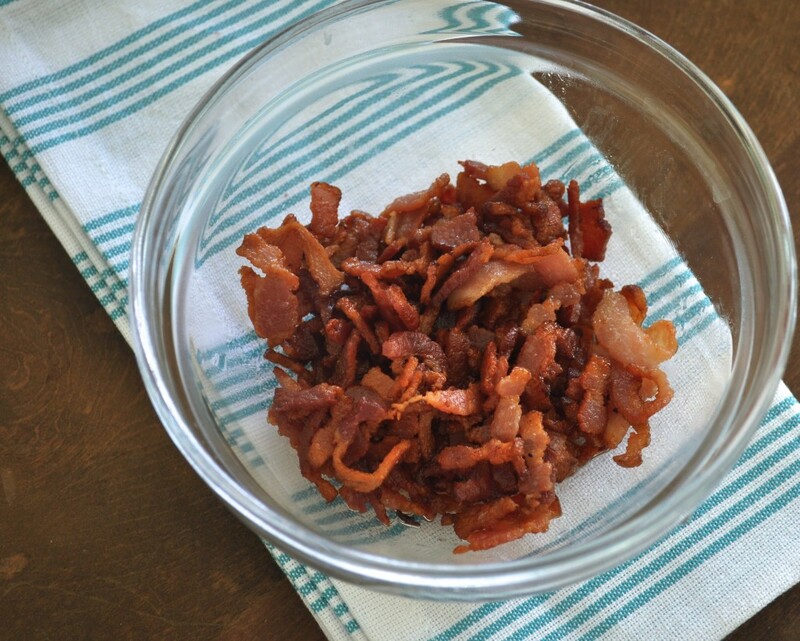 Toss the diced bacon in a large skillet over medium heat and fry until the bits are nice and crispy. 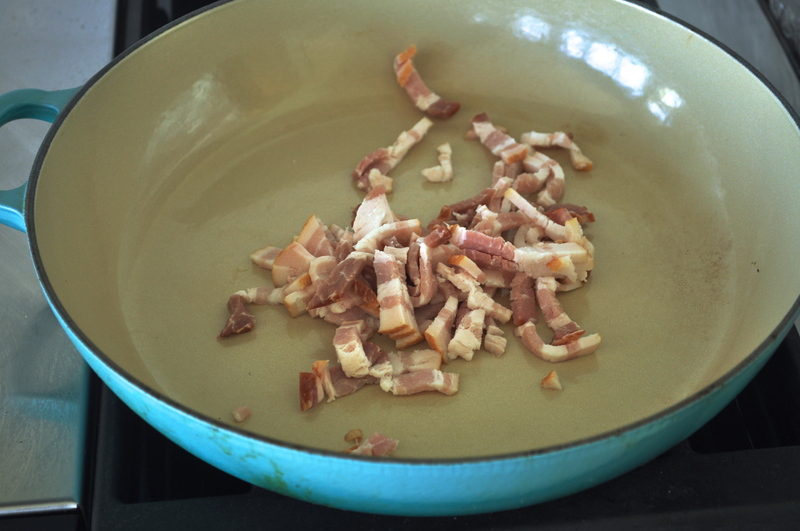 Remove bacon from pan and set aside. Whisk the eggs with a fork and pour into hot bacon fat. 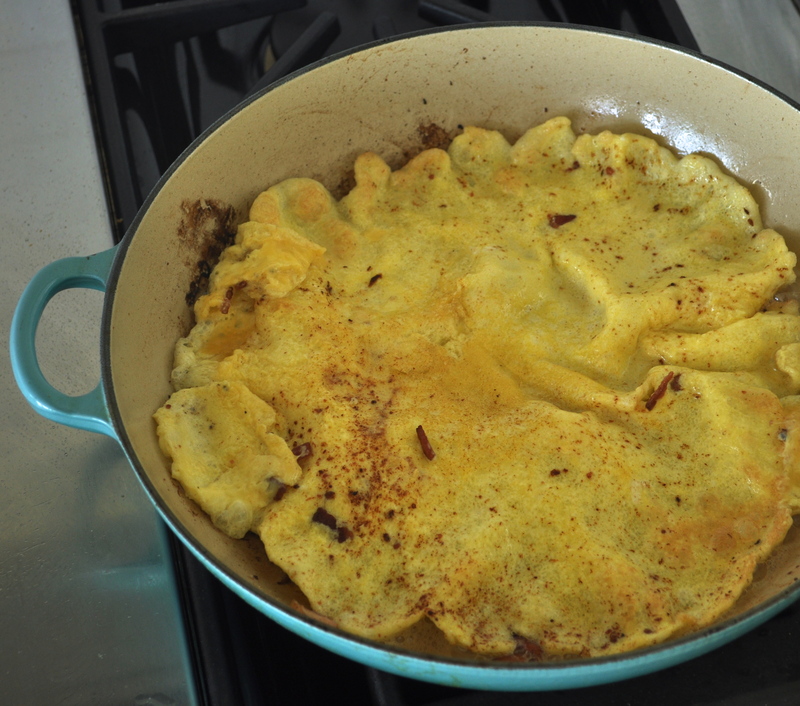 The eggs will spread out and make a very thin fried omelet. Cook for a minute on one side then flip over. 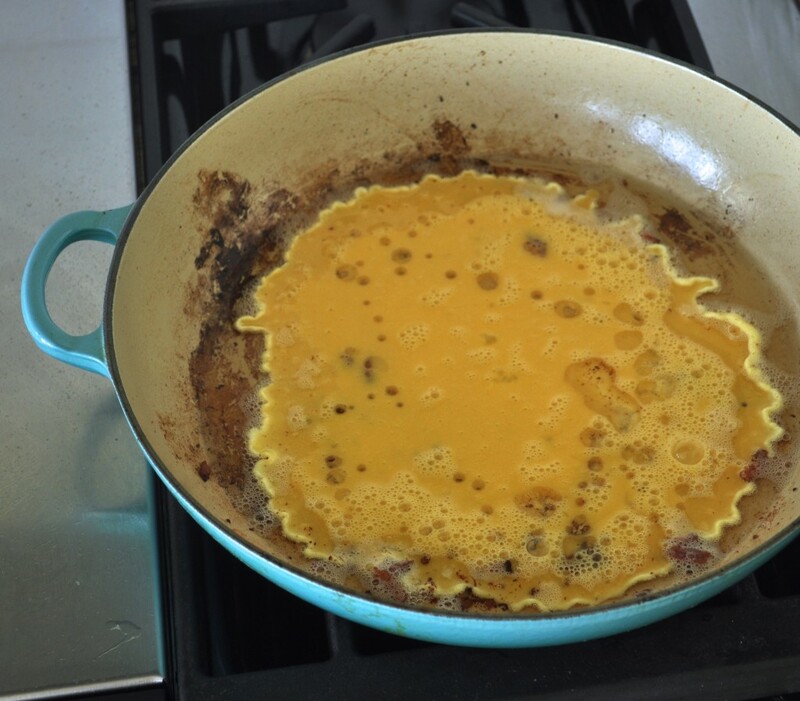 When eggs are done remove from the pan and set aside. Cut the eggs into thin bite size strips. 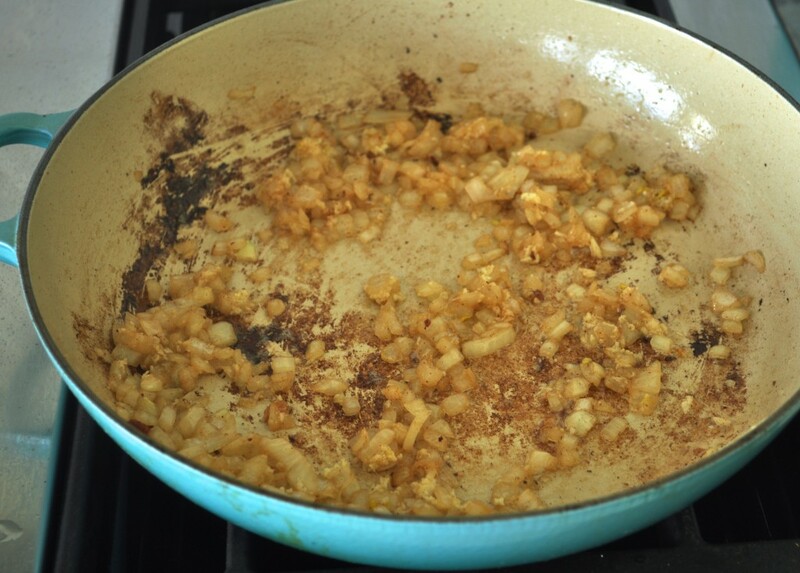 In the same bacon fat, over low to medium heat sauté the diced onion, minced ginger and garlic for a few minutes. Don't get the pan too hot or the garlic will burn. Salt and Pepper to taste. 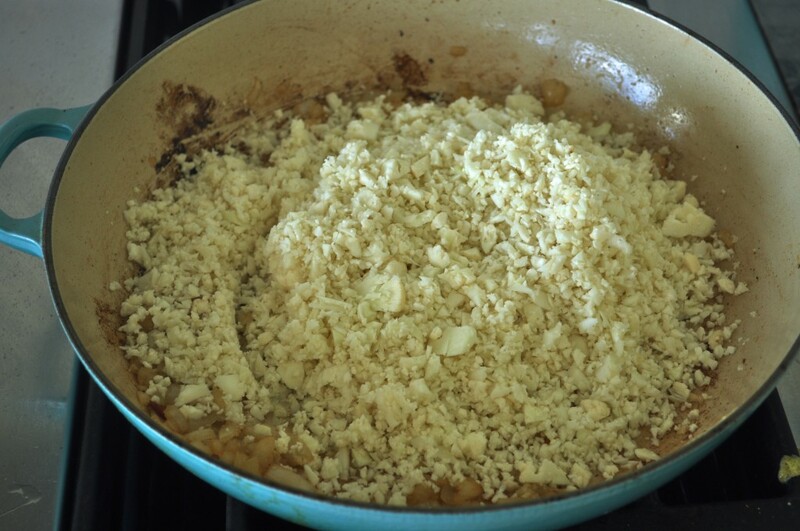 Add the cauliflower "rice" to the pan and stir. Put a lid on the skillet and cook for about 5 minutes until the cauliflower is tender but not mushy. Salt and Pepper to taste again. 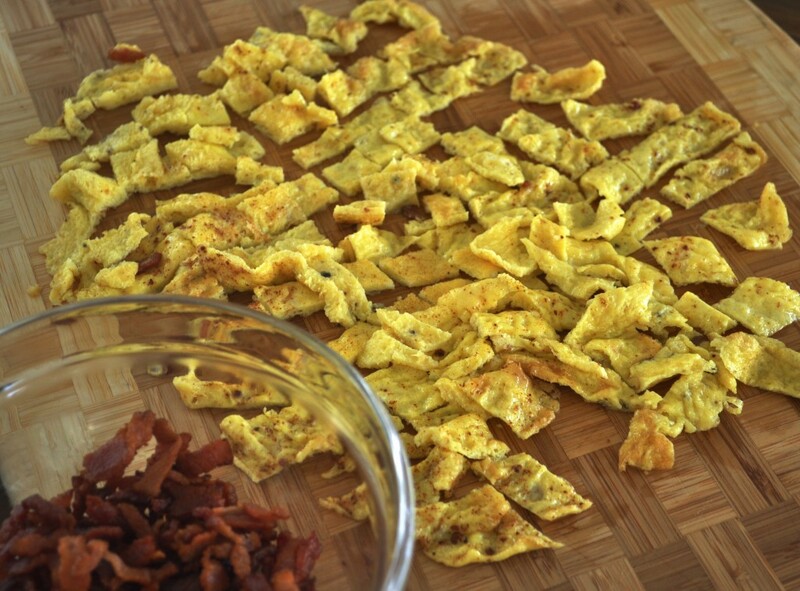 Finish by adding bacon, fried egg strips, sliced green onion and splash of soy sauce. 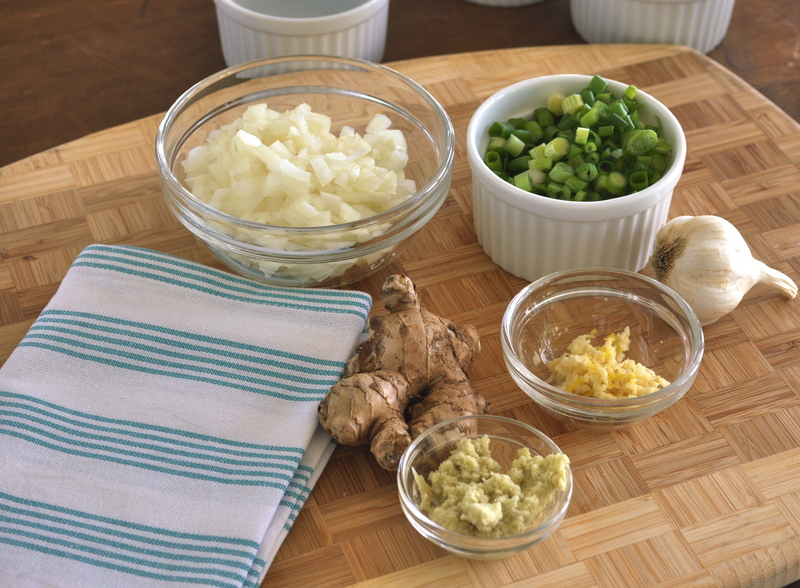 Cathy, Love this recipe and can’t wait to try it. After being gluten free for 7 years I went totally grain free about a year ago and was surprised at the big impact. Headaches, skin, sleep, energy all improved! Oooooh. Is this what you were going to make on the trip that one night? Drats, indeed. But I suppose that I would have missed it anyway whilst I was napping with my nakkin. This sounds good! I will have to try it. I’ll let you know how it goes.